WordPress is one of the most powerful blog publishing and content management application with millions of users across the globe. 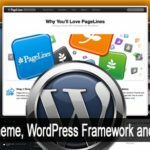 Almost any imagination can be brought into reality by using WordPress Plugins offering custom functions and features by which user can modify their site to their specific needs. In this article, we are mentioning the highly recommended WordPress plugins for every WordPress user. We personally recommend each of them to you. This is not a how-to article on installing plugins for WordPress. If you are a newbie, you can refer to the link in the References section for information on how to install WordPress plugins. Plugin compatibility needs to be checked with your installed version of WordPress before installing plugins. Most popular plugins, however, work without any hitch. It’s also best to keep your WordPress fully updated at all times. Since these open source plugins are provided without a warranty, any critical data needs to be backed up before you use them. Although we have tested each of these plugins personally, each blog is different and you are solely responsible if there is any potential damage or loss to your personal data. Remember to update the plugins whenever any update is available. Since the plugin manufacturers frequently check for bugs and patch the loopholes in their plugins, updating is necessary to ensure the security and functionality of your blog. This brings the power of WordPress.com right to your self-hosted WordPress and you get a new social networking enabled comment system, a free stats checker, a contact form feature, social sharing buttons, spelling and grammar checker, recent tweets widget and loads of other WordPress.com centric features, right inside your WordPress.org installation. This complete list of features neutralizes the need for many other separate plugins and thus helps to keep your blog stable. Comes installed with WordPress by default. All you have to do is get an API Key to activate it. 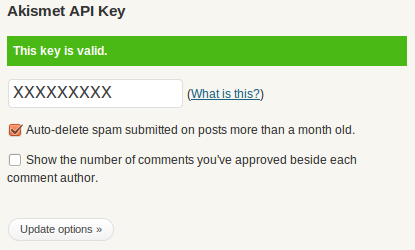 You can use WordPress API key to activate Akismet. Akismet is quite possibly the best way to protect your blog from comment and trackback spam. It keeps your site protected from spam 24*7. 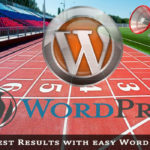 Once you activated this plugin, simply provide WordPress.com API key to kick-start it. This plugin has the option to automatically discard spam on posts and pages which more than 1 month old. Hackers frequently target WordPress blogs so first and foremost; you should choose a good and reliable host and also frequently update both WordPress and its plugins. Thereafter the job of this plugin which alerts you to file-system changes, detects intrusion, alerting you to these facts via email. It also gives real-time visibility of traffic and number of hack attempts on your WordPress website. Features such as a strong password generator, block common WP security threats like fake Googlebot, malicious scan from hackers and two-factor authentication are also present. Other plugins such as CAPTCHA also help fight spam and combat bots. Broken Link Checker plugin checks for broken links, Redirection plugin helps you to repair them as you can redirect any specific link of your blog to a different one. This also helps you to mask your affiliate links giving them a sweet sound like blog.com/recommended/hostgator thus doing the work of GoCodes, another such plugin. Smartphone users are constantly on the rise and therefore many people may visit your site using Mobile Phones. However, your complex site may lose formatting and structure when it is viewed on a phone, so it’s better to have a separate Mobile phone interface the site. This is where this plugin comes in handy. This automatically detects mobile phone browsers and customizes the design accordingly. This also ensures a clean and simple design of your site, especially on older mobile phones. Also, you can try Glue for Yoast SEO & AMP plugin which makes sure the default WP AMP plugin uses proper Yoast SEO metadata and modification in the page. This plugin will check your posts, comments, pages and other content for broken links and missing images, and notify you if any are found. The reason for fixing broken links is that they are not at all good in terms of your blog’s SEO and give a bad reputation to search engines. You can choose the option to prevent search engines from following broken links. WordPress Database Manager easily allows you to edit and modify the database tables. You can also backup tables, which contain your entire site data including posts and pages of your blog, and easily restore it in case something goes away. Also, it provides an option to repair and optimize the database. This helps to clean up and optimize database and blog structure. It helps to remove unnecessary post revisions, comments in spam queue thus keeping the site structure healthy which is which helps to improve site speed. Spam is the biggest problem in blogging and you might have seen that we have included many plugins that do their best in combating spam. 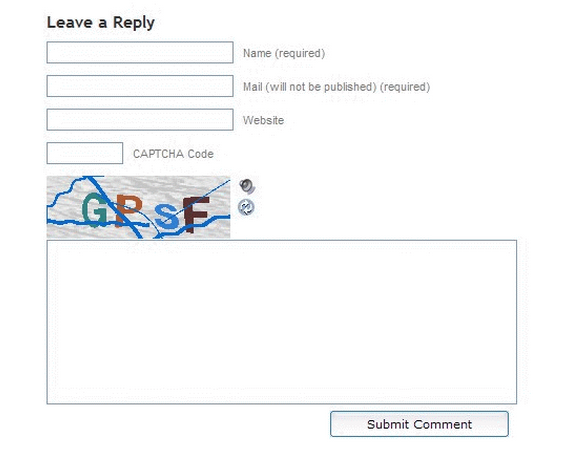 Another such plugin is SI CAPTCHA Anti-Spam which shows a CAPTCHA image every time someone comments. The only drawback is that it may draw away genuine commentators also as they might get daunted enough to not comment at all. This plugin increases the power and usefulness of your search bar and categorizes search results according to relevancy and ease of view. It replaces the default search with a partial-match search. Although Jetpack has an inbuilt stats feature, Google Analytics has much more features and therefore we recommend this as a separate plugin. This brings the power of Google Analytics web service right to the WordPress Dashboard and also includes an option for custom reporting which is an interesting and useful feature. We highly recommend these WordPress plugins for any new/existing blog. There are various other plugins that would need to be added based on the niche and your needs. But for any generic blog, this should be a good list to start with. Also, keep in mind, plugins are very helpful but in the end, however, it is the content which matters. Keeping a simple blog containing great quality content works all the time. Plugins also tend to be bloat and increase the blog’s loading time if they are in excess. A popular plugin, namely SEO smart links has been known to overload the memory limits of a blog so it is better not to install such plugins. 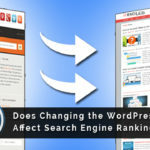 There also exist many paid versions of popular WordPress plugins including many paid SEO plugins that promise to skyrocket your rankings in search engines. Most of the time, the features of that plugin exist in the free plugins also. That is why you must carefully check the reviews as well as list of features of the plugin and also search for free alternatives. Many popular bloggers also might recommend paid plugins just to get affiliate earnings so you should always be wary of those seemingly unbelievable results that these plugins promise.